It is important to know that a speaker claiming to be an expert, has a proven track record. Scott has experience and an excellent record to show. 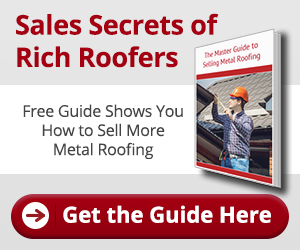 You will agree that he is more than qualified to talk about “Successful Roofer Secrets”. Scott Siegal started Maggio Roofing over twenty years ago. To this day, he owns and operates one of the most successful roofing companies in the Washington, DC metropolitan area. The company installs all types of roofing, from small residential to million dollar commercial projects. Maggio Roofing is a national award winning roofing contractor, and a member of Hanley Wood’s Big 50. Scott has been a professional contractor trainer for over ten years, and has spoken at local and national trade conventions. Scott is also a Past-President of the Washington Area Roofing Contractors Association. During the past twenty two years, Scott acquired four established roofing companies in the Washington, DC area. With companies averaging over 500 contracts per year, Scott knows first hand the problems that contractors face on a daily basis. Certified Contractors Network (CCN) was established in 1996 by Richard Kaller. Richard found that contractors of all markets had challenges in common, and shared problems in sales, field production, and general management. He also realized that he could get together with several contractors, reducing the individual consulting costs. That is what propelled the explosive growth of CCN. Scott Siegal was one of the founding members of Certified Contractors Network. Therefore, he knows the great value his CCN membership has brought to his business. After acquiring CCN, Scott reinvented the organization. He built on the years of experience of its members, and brought in critical knowledge and partners. Today, CCN provides valuable, hands on consulting and networking between non competitive contractors at a very low cost. They have members in most States in the USA and Canada. CCN offers an entire system for contractors which includes marketing and sales from the one-man shop, to the companies managing over 100 employees. Scott’s vision and plan helped the company achieve a new brand identity; which increased the prominence of CCN in the industry. It also helped build strategic partnerships with industry leaders; from the largest roofing manufacturers, to new green suppliers, to social Web media companies. Scott is committed to empowering members to reshape their contracting business to survive and thrive in today’s new landscape.